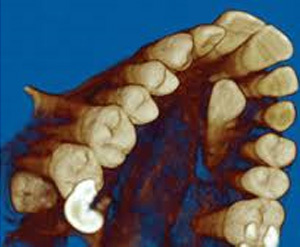 A dental cone beam CT scanner uses x-rays and a computer to produce cross-sectional and 3D images of the upper and lower jaw including all teeth. 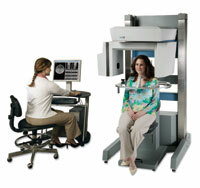 It provides undistorted and accurate views that cannot be acquired by 2D X-rays. It is non-invasive, safe and quick with precise results. 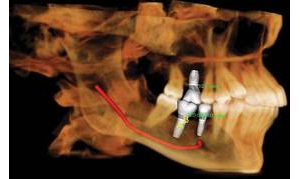 The greatest advantages of a CBCT over a medical CT is that the level of effective radiation dose the patient receives is significantly less by up to 98%*. Patient positioning for these examinations involves sitting in a chair as opposed to lying on a bed and moving through a tunnel. Scan times are reduced considerably minimizing patient movement. 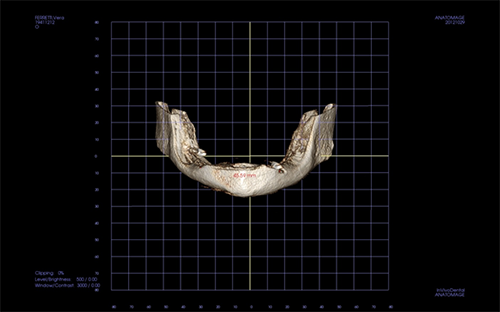 Dental CT Scans provide clinical information that cannot be provided using other imaging modalities. It is commonly used by Dentist and Dental Specialists to assist with suitability and placement of potential implants, by Orthodontists in assessing tooth relationships, in particular teeth not growing in the right position such as canines and also by dental surgeons who want to view where 3rd molars are located in relationship to the mandibular canal. Locate lesions and other pathologies such as cysts, tumors and underlying disease. 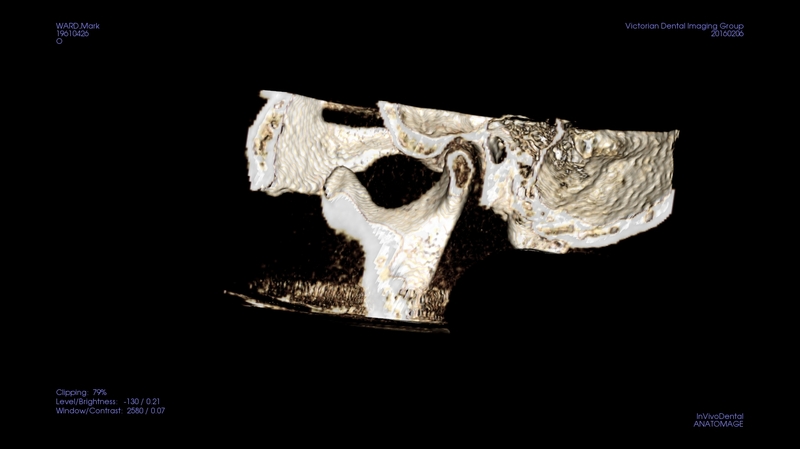 Our Cone beam CT scans do not require any special preparation. 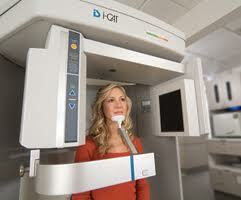 When you arrive for your CBCT scan you should expect to be with us for about 15-30 minutes. Prior to the examination, you will be asked to remove any metal artefact from the head and neck region, such as jewelry, glasses, pins, clips and hearing aids. Removable dental work in most cases will need to be removed unless your dentist has requested otherwise. Correct positioning is performed over the Area of Interest as to minimize unnecessary exposure to radiation. 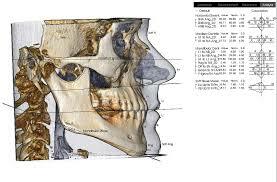 You will be asked to remain very still while the x-ray machine moves around the head in a complete 360 degree rotation capturing multiple images from different angles to create a 3D image. This can take between 8.9 seconds to 23 seconds. You will not experience any pain during or after your examination. You will be able to return to your normal activities once the examination is complete. 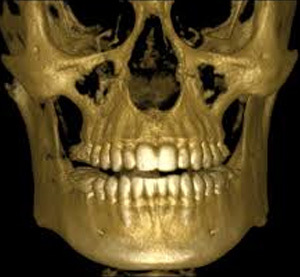 As of Nov 1, 2014 Medicare ceased providing Medicare rebates for all Cone Beam CT examinations requested by general dentists- when a general dentist refers you for a CBCT scan, there is no Medicare rebate, however if you have private health insurance, there may be a rebate available to you from your health insurance provider- please check with them directly. Medicare rebates only apply for Medicare eligible patients if they are referred by a registered dental specialist such as an orthodontist, periodontist, maxillo-facial surgeon or by a medical doctor. 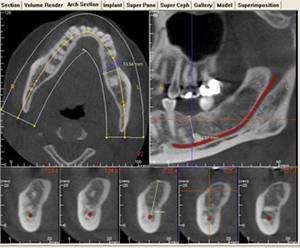 Other than our Caulfield rooms, VDIG does Bulk Bill 'SINGLE REGION' CBCT scans when referred by a dental specialist- we would be more than happy to assist you over the phone if you are usure whether you qualify for a Bulk Billed Cone-Beam CT scan. Payment for Cone Beam CT scans is required on day of service.